Just pull in, park and let our machine do all the work. Many school systems have found our rollover configuration is the ideal wash system for their fleets. The 3- Brush Rollover thoroughly washes the vehicle using a top horizontal brush and two vertical side brushes. The brushes intelligently wash around mirrors and other vehicle protrusions. This system is also capable of being installed in most existing wash bays. 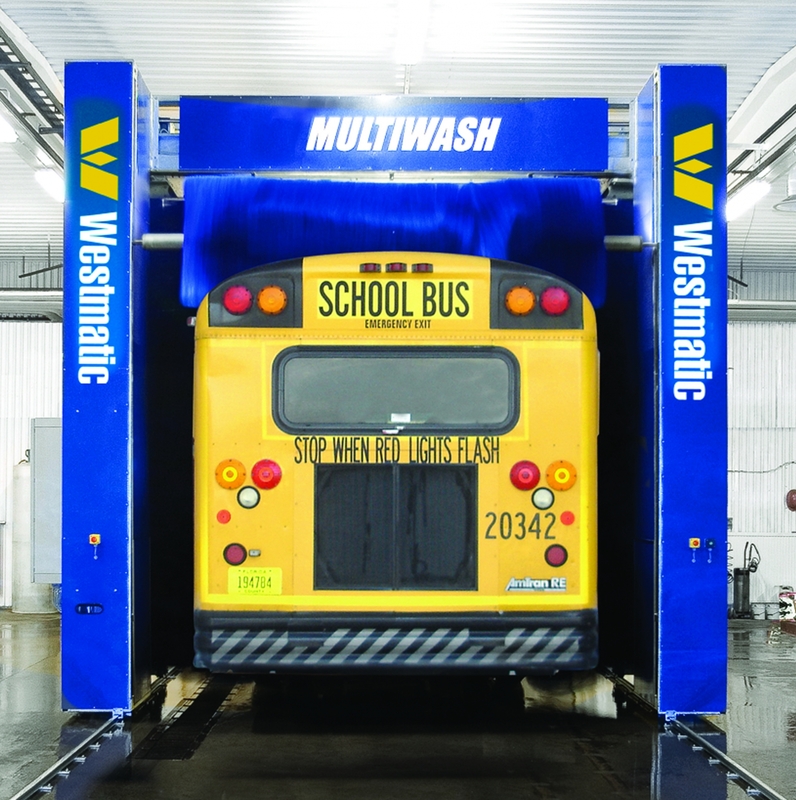 The Westmatic 3-Brush Rollover/Gantry system is the ideal wash machine for public or private fleets where brushes will safely and effectively clean your vehicles. The 3-Brush Rollover machine thoroughly washes the vehicle using a top horizontal brush and two vertical side brushes. The brushes will intelligently wash around mirrors and other vehicle protrusions. Wash cycle times range from 5-10 minutes per vehicle depending on the selected wash cycle options. Get your fleet clean and ready to roll before the school bell rings!